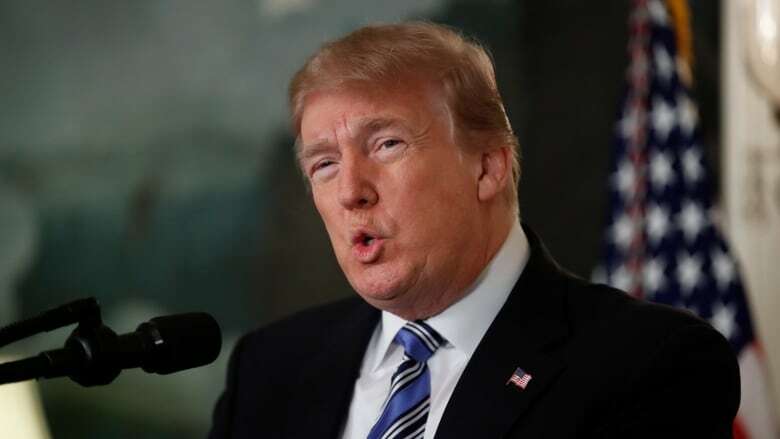 U.S. President Donald Trump says he is making plans to visit Parkland, Fla., to meet with local officials and the families in the wake of the school shooting that left 17 people dead and many others wounded. President Donald Trump struck a solemn tone Thursday after the deadly school shooting in Florida, describing a "scene of terrible violence, hatred and evil" and promising to "tackle the difficult issue of mental health," but he remained silent on the issue of gun control. Taking up the now-familiar ritual of public consolation after terrible violence, Trump spoke from the White House Diplomatic Room. In a slow, deliberate style, he sought to reassure a troubled nation as well as students' families and shooting survivors in Parkland, Fla.
Trump said from the White House he's making plans to meet with families and local officials, and to continue co-ordinating the federal response. He also called on Americans to "answer hate with love, answer cruelty with kindness." He did not answer questions shouted by reporters to him about guns as he exited the room. The president's address came a day after a former student opened fire at Marjory Stoneman Douglas high school with an AR-15 rifle, killing 17 people and injuring 14 more. It was the nation's deadliest school shooting since a gunman attacked an elementary school in Newtown, Conn., more than five years ago, killing 20. At the Capitol, Thursday, the usual divisions over gun laws were evident. Before he was a candidate, Trump at one point favoured some stricter gun restrictions. However, early in his administration, he told the National Rifle Association he was their "friend and champion." He signed a resolution passed by the GOP-led Congress blocking an Obama-era rule designed to keep guns out of the hands of certain mentally disabled people. The 19-year-old suspect, Nikolas Cruz, reportedly posted disturbing material on social media. He had been expelled from Marjory Stoneman Douglas High School for "disciplinary reasons," Broward County Sheriff Scott Israel said. Mayor Beam Furr said on CNN that the shooter had been getting treatment at a mental health clinic, but he hadn't been back to the clinic for more than a year. Earlier on Thursday, Trump wrote in a Twitter post: "So many signs that the Florida shooter was mentally disturbed, even expelled from school for bad and erratic behaviour. "Neighbours and classmates knew he was a big problem. Must always report such instances to authorities, again and again!" He also issued a proclamation via Twitter to honour victims of the shooting: "Our Nation grieves with those who have lost loved ones in the shooting at the Marjory Stoneman Douglas High School in Parkland, Florida." At a news conference before Trump's address, Florida Gov. Rick Scott vowed to work to ensure that individuals with a mental illness cannot access guns. The Republican governor spoke at a news conference a day after the deadliest high school shooting in U.S. history. "We cannot lose another child in this country to violence in a school. The violence has to stop." 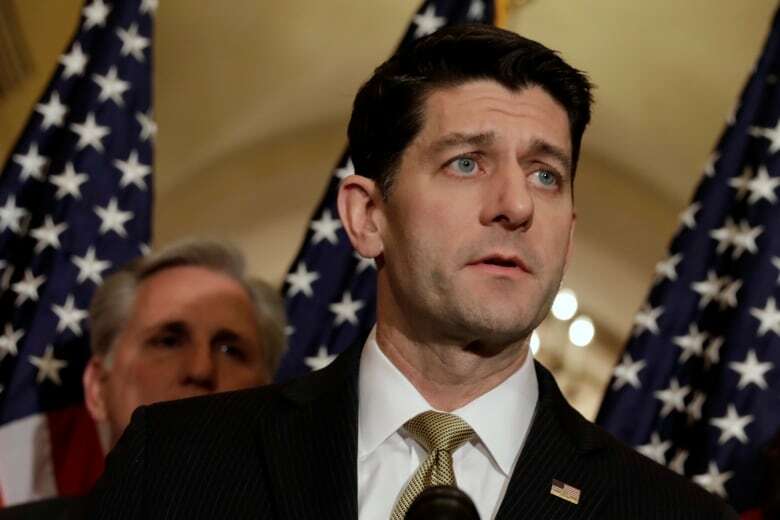 House of Representatives Speaker Paul Ryan also spoke Thursday, in a round of interviews with conservative radio shows, and said the shooting should not threaten citizens' rights to own guns. "There's more questions than answers at this stage," the Republican lawmaker said in an interview Thursday with Tom Katz on Indiana radio station WIBC about the mass shooting. "I don't think that means you then roll that conversation into taking away citizens' rights, taking away a law-abiding citizen's rights. Obviously this conversation typically goes there. Right now, I think we need to take a breath and collect the facts." Later in the day, he emphasized the need to close possible legal gaps that may allow people with mental illness to obtain guns. "As you know, mental health is often a big problem underlying these tragedies," he told reporters. "We want to make sure that if someone is in the mental health system that they do not get a gun if they should not have a gun." Last year, Congress passed a resolution that eliminated expanded background checks for gun purchasers receiving Social Security benefits for a mental impairment, a move Republican lawmakers said deprived the mentally ill of their gun rights. Because the resolution, signed by Trump on Feb. 28, 2017, was passed under the Congressional Review Act, regulators can never enact similar requirements in the future. Attorney General Jeff Sessions also vowed action, but did not offer any specifics. "It cannot be denied that something dangerous and unhealthy is happening in our country," Sessions said. "We will take such action as we're able to take. We have got to reverse these trends we're seeing in these shootings." The president has dealt before with the all-too-familiar ritual of offering consolation after horrific violence. In the wake of a Las Vegas shooting in October that killed at least 58 people, Trump spoke from the White House Diplomatic Room, calling it an "act of pure evil," and seeking to help the nation heal. In the past, he has largely focused on mental health as a cause for mass shootings, dismissing questions about gun control. After a shooting at a Texas church left 26 people dead in November, the president also said "mental health" was the problem, adding that "this isn't a guns situation." When he visited Las Vegas to mourn with the families of those victims, Trump called the shooter "demented" and a "very sick individual," though he added that "we'll be talking about gun laws as time goes by."